Kenneth L. Sisco, 91, Mandan, of Bismarck, passed away on June 7, 2018 at Prospera on Sunset Continuing Care in Mandan. Funeral services will be held at 10:30 a.m. on Thursday, June 14, 2018 at First Presbyterian Church, Bismarck, ND with Rev. Dr. Leann Simmons officiating. A private military burial will be held at a later date. Visitation will be held from 5:00-7:00 p.m. on Wednesday, June 13, 2018 at Weigel Funeral Home, Mandan with a prayer service at 6:30 p.m. Visitation will continue one hour prior to the service at the church on Thursday. Kenneth was born on August 1, 1926 to Levi and Margaret (Wescom) Sisco in Edmunds, ND. Coming from an English-Welsh ancestry, Kenneth was raised in both Edmunds and Kintyre, ND, graduating from Kintyre High School. On March 15, 1947, Kenneth married Alice Erble and together they raised two daughters, Sharon and Judy. Kenneth was a veteran in the United States Navy, who served his country with honor and distiction in both WWII and the Korean Conflict. He was an active member in the Bismarck VFW. Kenneth at an earlier age was a farmer and loved the land to the fullest. Kenneth was a dedicated and hardworking man. He worked for the Pitney Bowes in Bismarck as a serviceman and later in the position of salesman. He worked his way up to the position of district manager for the Fargo region. 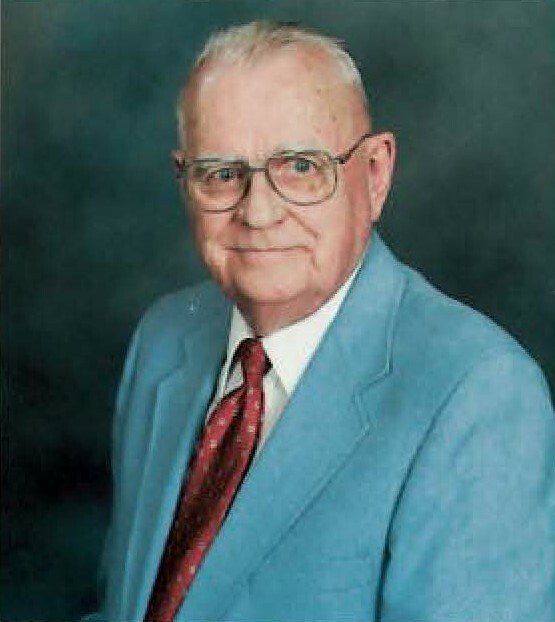 He later served as a district manager in De Moines, Iowa and Lubbock, Texas. Kenneth was kind, caring, and compassionate. He helped serve customers at Sears and helped grieving familes during their toughest times with Weigel Funeral Home in Mandan. Kenneth worked in the pro golf shop as an assistant at the Apple Creek Country Club. You could often hear him say, "Where is the coffee and where is the golf ?" Kenneth had a strong devotion to his faith and was a very active member of his church. He will be deeply missed by his family and friends who love him. Kenneth will be missed by his daughters, Sharon Lee Daniels, Fairview, MT and Judy Kay Gamble, Bismarck; his grandchildren, Levi, Kenneth, and Robb Gamble; and his great-grandchildren, Kaden, Arek, and William. Kenneth was preceded in death by his parents, Levi and Margaret Sisco; his wife, Alice; his son, Robert; his sister, Beryl Ginsbach; and his brother, Bill Sisco. In lieu of flowers, memorials may be made to the Bismarck VFW and American Legion Post. Go to www.weigelfuneral.com to sign the online guest book and view tribute photos.